PAALS is a 501(c)(3) charitable organization committed to enriching and empowering children and adults with physical disabilities and social needs by training service animals and providing animal assisted educational and recreational activities. PAALS service dogs help improve the life of their client. While in training, they also provide education and enjoyment to hundreds of individuals in the community and to our volunteers. PAALS receives no government or insurance funding. They are dependent on the generosity of donors and volunteers. The Sunshine State Animal Rescue (SSAR), Inc. is a no-kill animal rescue – foster home based, located in Northwest Florida. A 501(c)(3) non-profit, SSAR offers sanctuary and rehoming for shelter and abandoned animals. Completely volunteer run, no one affiliated with the rescue receives payment or a salary. All care for animals is dependent totally on donations. A small but mighty organization, SSAR saved over a hundred animals in their first year of operation. As a first priority, McLeod Hospice seeks to care for patients in familiar surroundings – their homes, assisted living, or long term care facilities. McLeod Hospice combines the benefits of a not-for-profit organization, offering care to any qualified patients, and if needed, an inpatient hospice house. 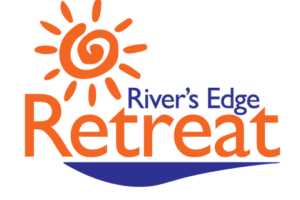 River’s Edge Retreat provides life changing experiences to underserved youth in the Midlands, accomplished by providing enrichment programs, camps and educational opportunities. 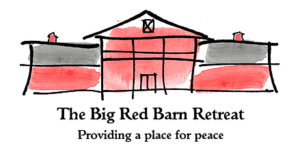 The Big Red Barn offers a variety of therapeutic services for our military and their families, making use of the natural healing powers that exist in the world around them to assist in restoring peace to their lives.